We maintain, repair and upgrade all makes and models at fair prices. A diagnostic review with associated costs is provided before any work is undertaken. From tablets to Enterprise servers, our technicians, who build and program systems and develop software, are the ones providing you the service. 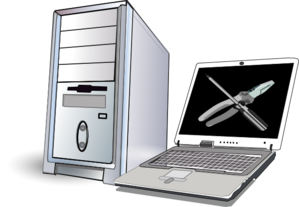 Whether you need to learn to turn it on, use imaging software or learning Linux, we have corses available or can set up a specific corse for your group or organization. We can also train your technical staff with networking skills, inovative data storage and retreival, system simplification and implementation. Since 2004 we have been providing last mile high speed internet to rural customers. Striving to maintain a stable, quality service with minimal bottlenecks and down time, are sytem is tuned for gaming, VPN, remote office and general internet use. Drawing out a sketch on a napkin maybe a start, but in the end you are going to have to prototype it and test it. Our engineering and design contracters will take your idea, map it out, design it, model it,get it ready for real world use and then arange a professional prototype.